Jancis Robinson recommends wine to ex-rugby player and wine connoisseur Brian Moore. Taste, opinion, sport and clinking glasses. 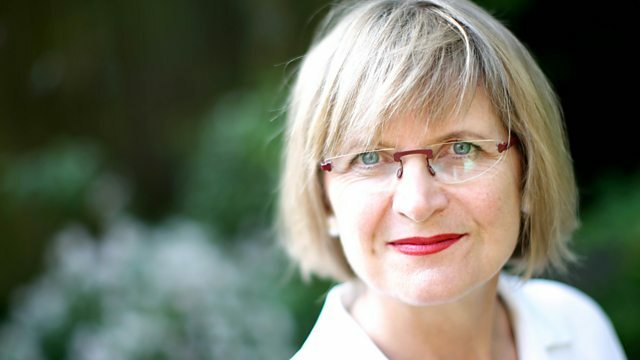 Jancis Robinson recommends wine to former rugby player and wine connoisseur Brian Moore. In this series Jancis Robinson is on a festive mission to recommend wines to famous guests. After all, wines are a bit like people really. Some are bold and fruity, some elegant and refined; you’ll get aging smoothies and sharp young things. But what do you recommend to a man who was nicknamed 'Pitbull' - famously aggressive on the rugby field, but also a sophisticated debater and a trained manicurist? Jancis aims to find bottles that match or reveal things about Brian's public persona but also his more secretive, private self. What follows is a lively conversation about wine and personality – about a person’s taste, their passions and opinions. On the way we’ll learn a lot about wine - about tasting, and style, about balance, acid and tannin; about winemaking and winemakers. It's a conversational masterclass from one of our foremost wine writers. But more than that – the open bottle starts up conversations about people's lives and opinions on all sorts of things. We’ll find ourselves asking what our own taste in wine might reveal. Open up a bottle and you’ll open up a person. Produced in Bristol by Melvin Rickarby.